Now that Land Rover are producing Plug-in Hybrid Vehicles (PHEV) and Vehicles with Mild Hybrid Drive Trains (MHEV) and will progress to develop full Electric Vehicles in future, we at Rovertune Ltd already have technician expertise, capability and equipment to service, maintain and repair such vehicles. We will invest to ensure all our technicians are trained to Hybrid/MHEV and EV Vehicle Industry Standards. Rovertune Ltd is one of the very few Independent Land Rover Specialists using the only Land Rover approved DEF Fluid dispensing equipment which must be integrated with the official LR diagnostic systems (SDD and Pathfinder) to ensure correct operation of fluid quantity, quality and refill flow rate. DEF Fluid, otherwise known as AdBlue® top-ups and refills can therefore be undertaken to the exact requirements Land Rover set for their vehicles. When you need DEF Fluid just feel free to call in, or make a pre-arranged booking, we will be happy to accommodate you. 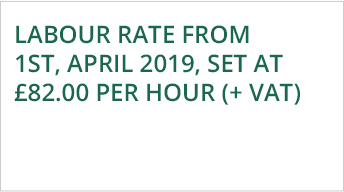 For more information see our website Services Page > SCR Technology (AdBlue®) – Diesel Exhaust Fluid (DEF) where you will see our DEF Fluid sales are at discount prices. Rovertune Ltd, is fully operational with the latest Jaguar Land Rover Vehicle Communication Interface (VCI), which is the only diagnostic system compatible with all 2017MY (and onwards) vehicles. This acquisition shows Rovertune’s commitment to keep fully up to date with the very latest in official diagnostic developments. 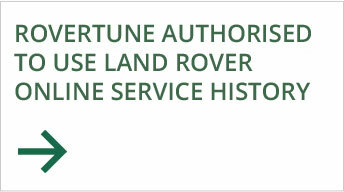 Rovertune Ltd is an Independent family run company specialising in the servicing, repair and maintenance of Land Rover vehicles. It is not affiliated to, or associated with Jaguar Land Rover.